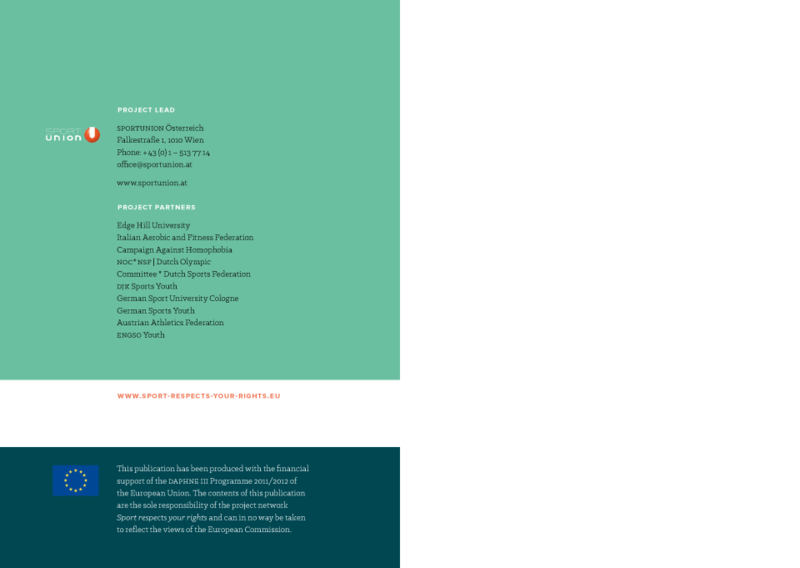 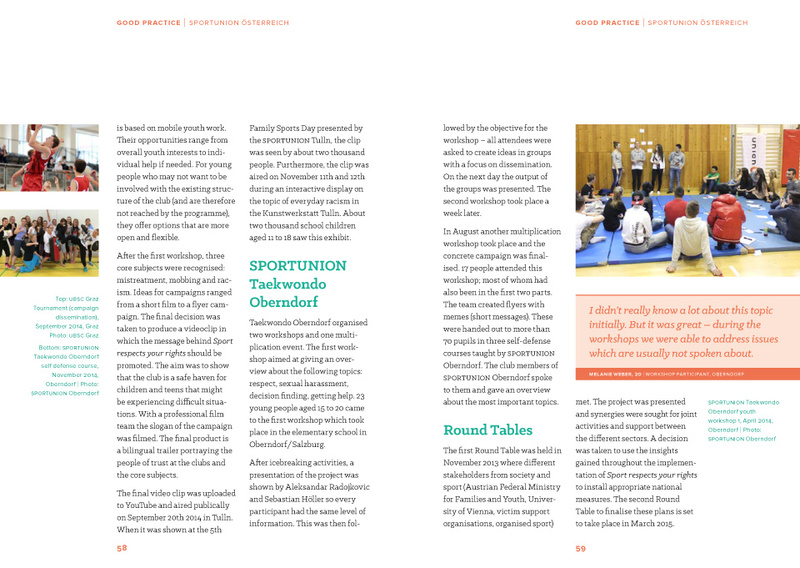 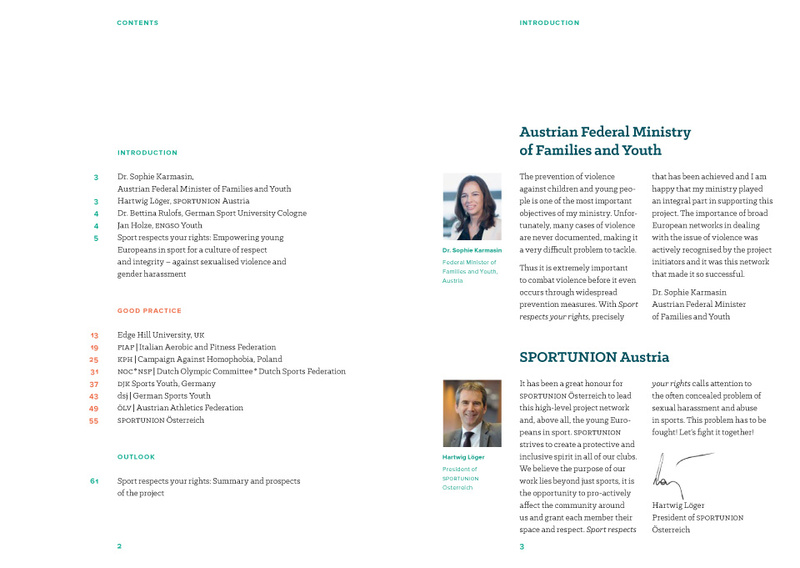 64-page brochure published on the occasion of the final conference of Sport respects your rights, an awareness campaign on gender harassment and sexualised violence in sports that I developed the entire visual identity for. 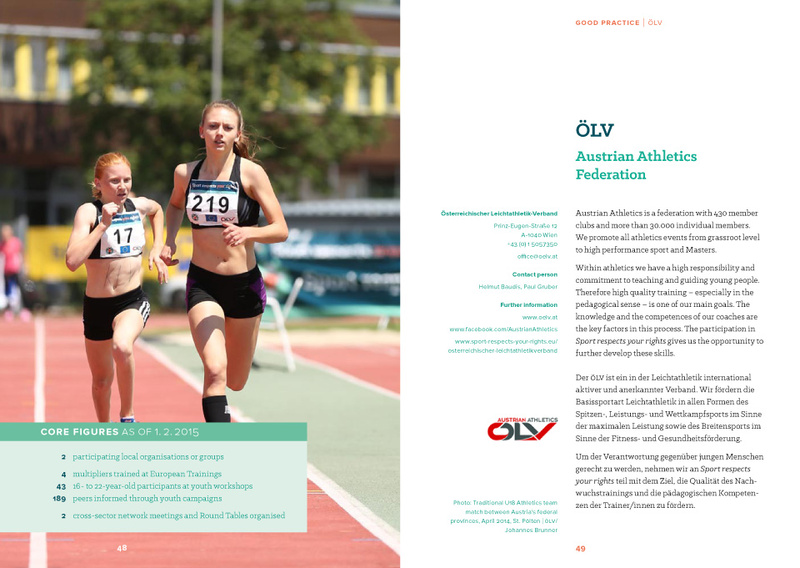 The project was funded by the European Union and carried out by eight nationwide institutions in Europe such as the Italian Aerobic and Fitness Federation, Campaign Against Homophobia (Poland), the Dutch Olympic Committee, German Sports Youth, Austrian Athletics Federation and others. 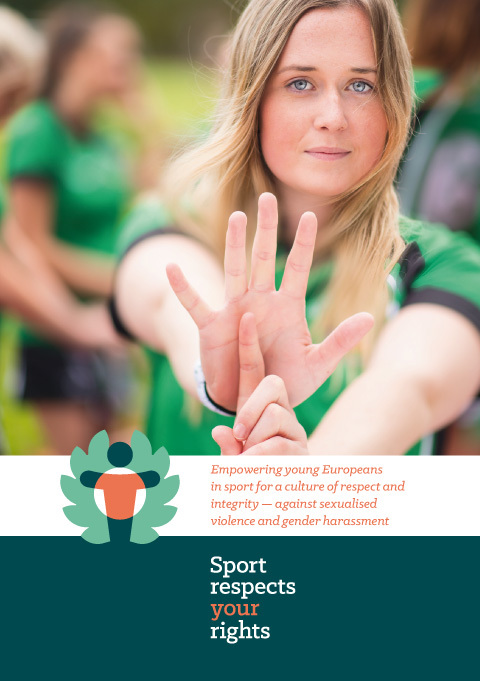 The hand signal shown by the athlete on the front cover is part of the “One in Five” campaign (European Council) on sexualised violence against children, which Sport respects your rights also supported. 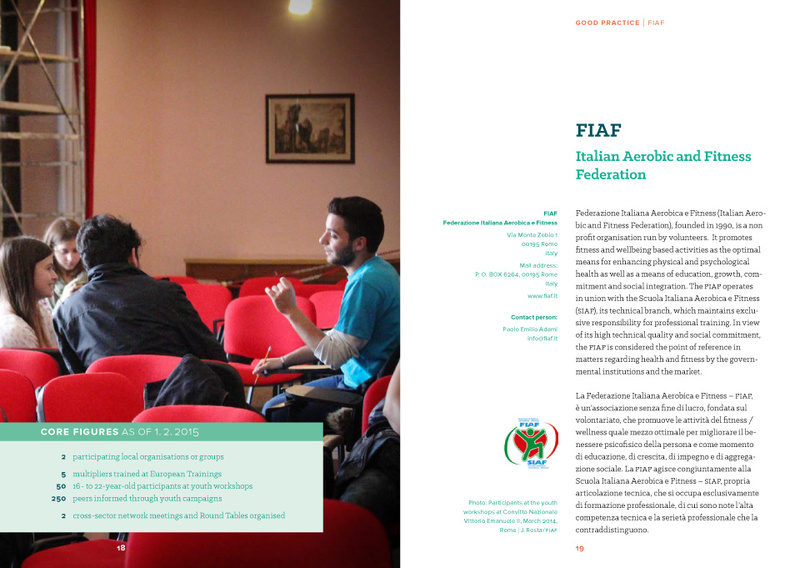 DIN A5, full colour. 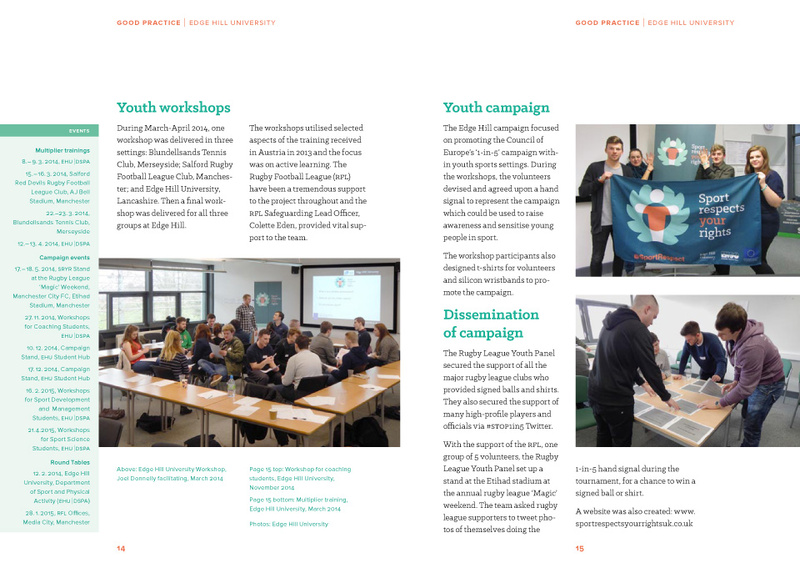 Front cover photo by Edge Hill University (UK), photos on the inner pages by the various other contributing organisations. 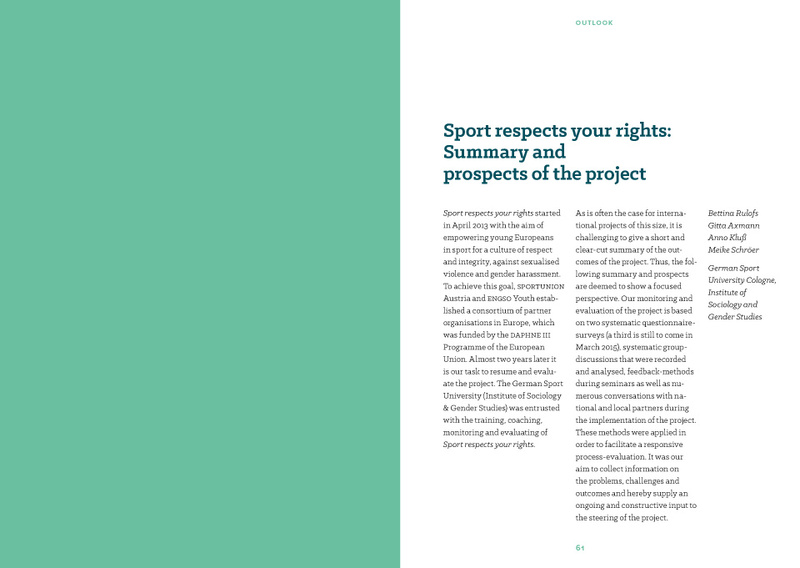 Published by Sport respects your rights 2015.